A leader of the Syrian Revolutionary Front, based in Lattakia Province in western Syria, has put forth a seven-point proposal to resolve the fighting between the SRF and the Islamist faction Jabhat al-Nusra. Clashes broke out between the two groups on October 27 in Idlib Province in northwest Syria. 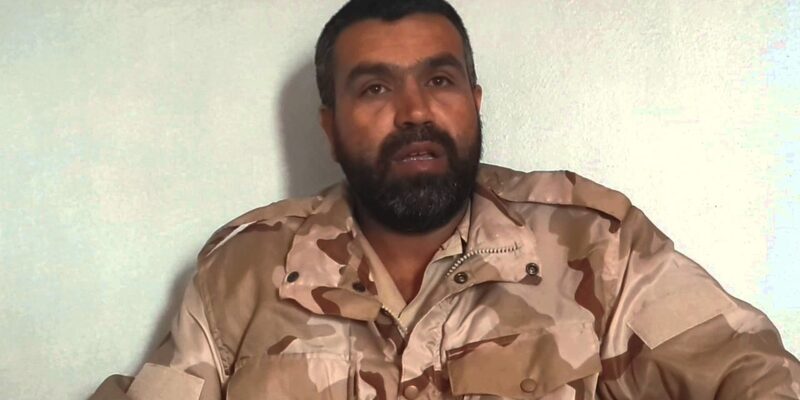 By last weekend, Jabhat al-Nusra had pushed the SRF and its leader Jamal Maarouf (pictured) out of their positions. It offered a ceasefire, but insisted that Maarouf and his senior advisors must appear before an Idlib Sharia court dominated by Jabhat al-Nusra’s allies. Maarouf has promised to take revenge on Jabhat al-Nusra, claiming that it is tied to Iran and that its head Abu Mohammad al-Joulani is a Muslim heretic. Syria Daily, Nov 3: Insurgent In-Fighting — How Far Will the Jabhat al-Nusra Offensive Go? Syria Special: Amid Its Offensive in the Northwest, Why Are Insurgents Fighting Among Themselves? PreviousSyria Daily, Nov 5: Stalemate In and Around Kobane?